What articles of the treaty pose the greatest obstacles to the economic development and financial stability of post-war Germany? 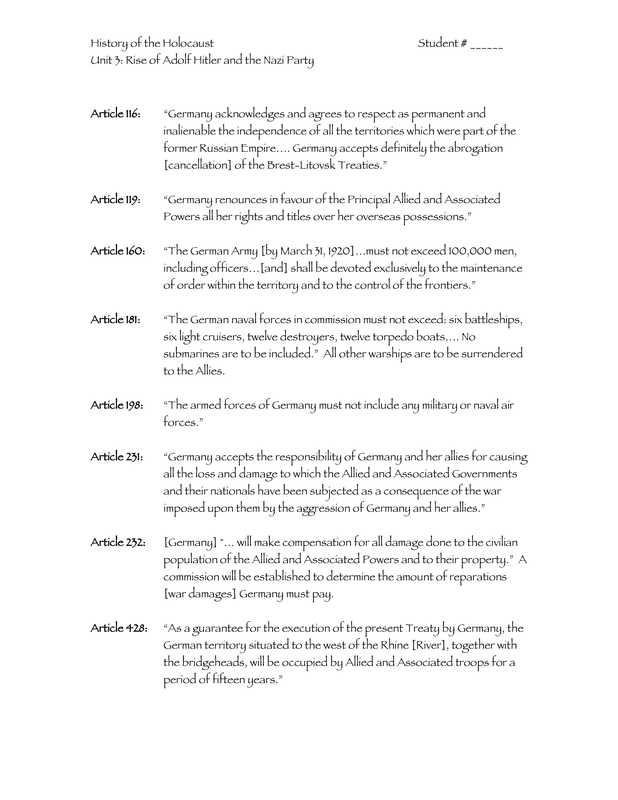 According to the treaty, how do the Allies plan to ensure that Germany meets the terms of the agreement? In your opinion, which article of the treaty is the most “vindictive” and why? How would the treaty be viewed from the perspective of the Allies? Why? How would the treaty be viewed from the perspective of the Germans? Why?